Are you still undecided about where to study for your university education? Looking for a study destination which is beautiful, safe, technologically advanced and well regarded in the higher education sector? 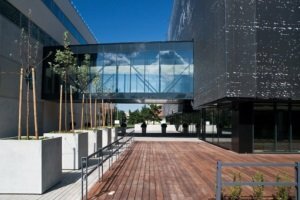 Why not study in Estonia? Click on the tabs below to find out about top universities in Estonia, popular cities for students, applications, visas and costs. Estonia is one of the least religious countries in the world; more than 54% of the population claims to be non-religious. It takes only 15 minutes to officially start your own company online in Estonia. 99% of banking is conducted online. A former member of the Soviet Union, Estonia regained independence in 1991. Estonian higher education is well respected around the world. 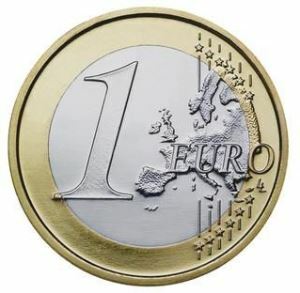 The country is a participant in the Bologna Process, which aims to standardize higher education across Europe, and its university diplomas are internationally accepted. Currently there are 15 public universities in Estonia, and nine private. English is widely spoken, and most universities in Estonia offer a wide variety of English-taught programs. Two universities in Estonia feature in the QS World University Rankings® 2016/17, and one more features in the QS University Rankings: EECA 2016, a ranking of the leading universities in Emerging Europe and Central Asia. The University of Tartu is ranked at an impressive fifth place in the latest QS University Rankings: EECA. Established in 1632, it is Estonia’s oldest higher education institution, and one of the oldest in northern Europe. The University of Tartu teaches about 13,400 students, including over 800 internationals. It is a member of the Coimbra Group and the Utrecht Network, both of which promote international collaboration in higher education. The university is also a participant in the Erasmus Mundus program, which brings it into cooperation with more than 200 universities worldwide. 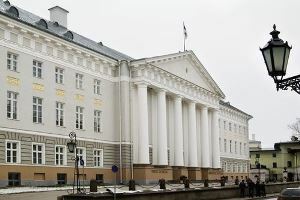 The University of Tartu prides itself on having many notable alumni, including two Nobel laureates, in medicine and chemistry. 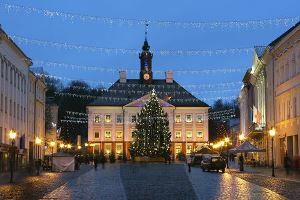 Tartu itself is Estonia’s second largest city; well-known as an intellectual hub, it’s home to the Ministry of Education and Research. The Tallinn University of Technology also features in the EECA rankings, placed at 30th. Established in 1918, it is the only dedicated technology specialist among Estonian universities. The Tallinn University of Technology has eight faculties and around 12,000 students enrolled, including 1400 international students. It offers degrees in engineering, economics, business administration, social sciences and information technology. Partly due to its strong innovation focus, the university is one of the most popular choices for international students coming to study in Estonia, currently hosting overseas students from more than 60 countries. Located in the beautiful capital city Tallinn, the university has well-established connections within industry and offers a good selection of work opportunities and placements to its students. Also featured in the QS University Rankings: EECA is Tallinn University, at 87th place. The third-largest university in Estonia, Tallinn University joins TUT in the capital city. It offers a wide range of courses and has well-established exchange programs and support for international students. Estonia boasts one of the world’s most digitally connected societies, with free Wi-Fi almost everywhere. But aside from its highly impressive leadership in modern technologies, Estonia has much more to offer. For those keen to escape the city (and even temporarily de-tech), there are plenty of opportunities to explore the country’s green forests, picturesque lakes and white-sand beaches. Alternatively you can enjoy roaming the medieval streets of old Estonian towns, attend concerts, participate in the lively city night-life, or join the range of student-run events on campus – everything from cycle trips to photo competitions. Students coming from a member state of the European Union do not need a student visa to study in Estonia. 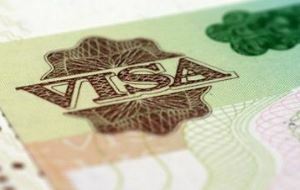 However, they do need to obtain a temporary right of residence in Estonia after arriving in the country. EU students should register with the local authorities within three months from the day of entry in Estonia. In addition, students must apply for an Estonian ID card within one month of obtaining the temporary right of residence.